The Rock just laid a smackdown on people who are ‘looking for a reason to be offended’ – chiming in on the debate over millennial sensibilities. 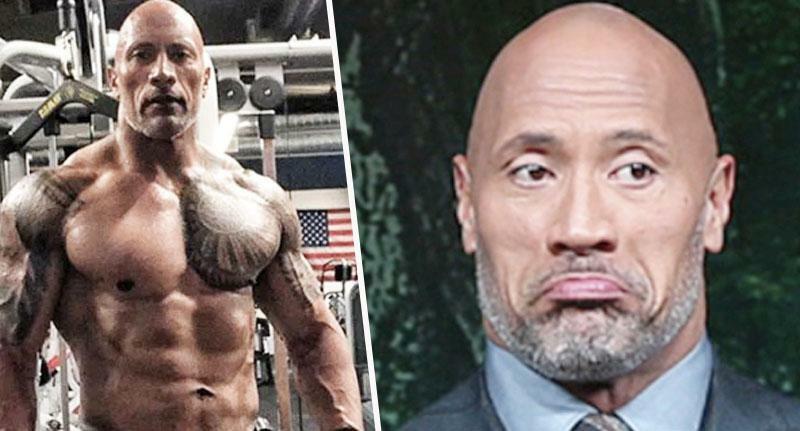 Dwayne Johnson isn’t afraid to share his opinion – and his latest target? So-called Generation Snowflake – ‘or whatever you want to call them’. In a recent interview, the 46-year-old People’s Champ said he thinks our generation is setting back the ‘freedom and equality’ fought for in generations gone by. So many good people fought for freedom and equality – but this generation are looking for a reason to be offended. If you are not agreeing with them then they are offended – and that is not what so many great men and women fought for. We thankfully now live in a world that has progressed over the last 30 or 40 years. People can be who they want, be with who they want, and live how they want. That can only be a good thing – but generation snowflake, or whatever you want to call them, are actually putting us backwards. I don’t have to agree with what somebody thinks, who they vote for, what they voted for, what they think, but I will back their right to say or believe it. It’s a pertinent message at a time when the political spectrum and landscape in America – and indeed across the pond in Britain – is so split by xenophobia, homophobia and a plethora of other ‘isms’. While his reasoning is a rather sweeping statement about a whole generation – many of whom do understand how important freedom of speech and open debate can be, thank you very much – a lot of people seem to agree political correctness has ‘gone a bit far’. Now, I don’t know about you, but I’m not about to start a fight with the former WWE legend, acting heavyweight, and man-mountain for fear of that elbow. The fact remains though; the ideologies behind ‘Generation Snowflake’ – to call them by the now derogatory label they’ve been given by their elders who run the news outlets determined to enrage loyal readers and sell papers with headlines about the antics of today’s youth – are good and pure in their efforts to make the world a better place for everyone. Yes, sometimes a minority go too far and perhaps take some otherwise unimportant issues too seriously. But have you ever actually met someone – other than a troll – who cares more deeply about whether a soon-to-be melted snowman is un-gendered than genuine equality? The generation before us may have fought the first big battles against fascism, racial segregation, and sexism. We owe them our freedom to be able to fight for what we believe in now. But we’re the ones who are hoping to close the gender pay gap, stop institutionalised racism, and make the world fairer for those who’ve experienced modern day suffering. Those are our fights and there’s no shame in that.